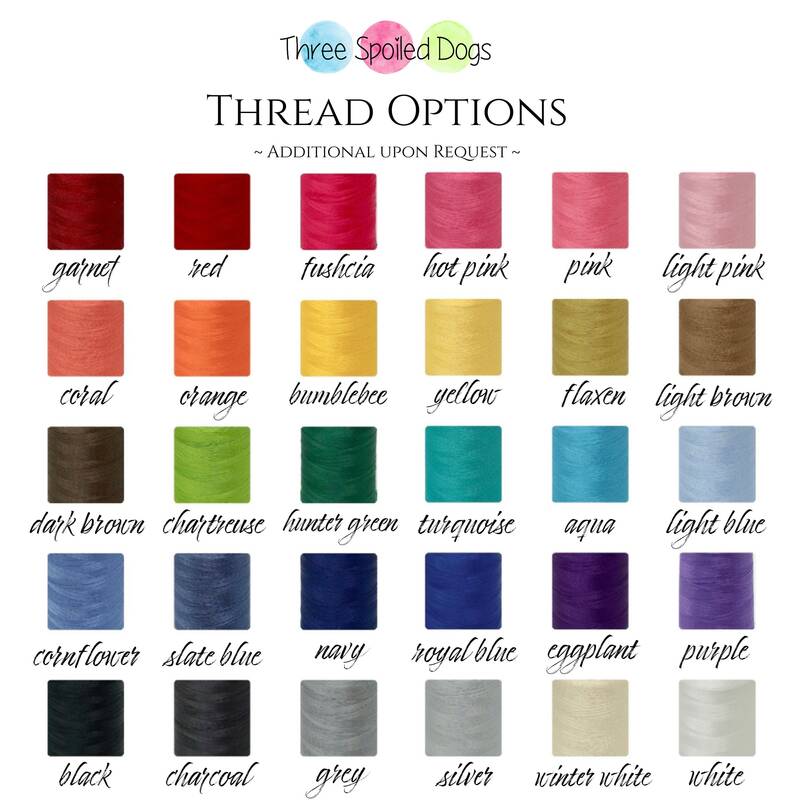 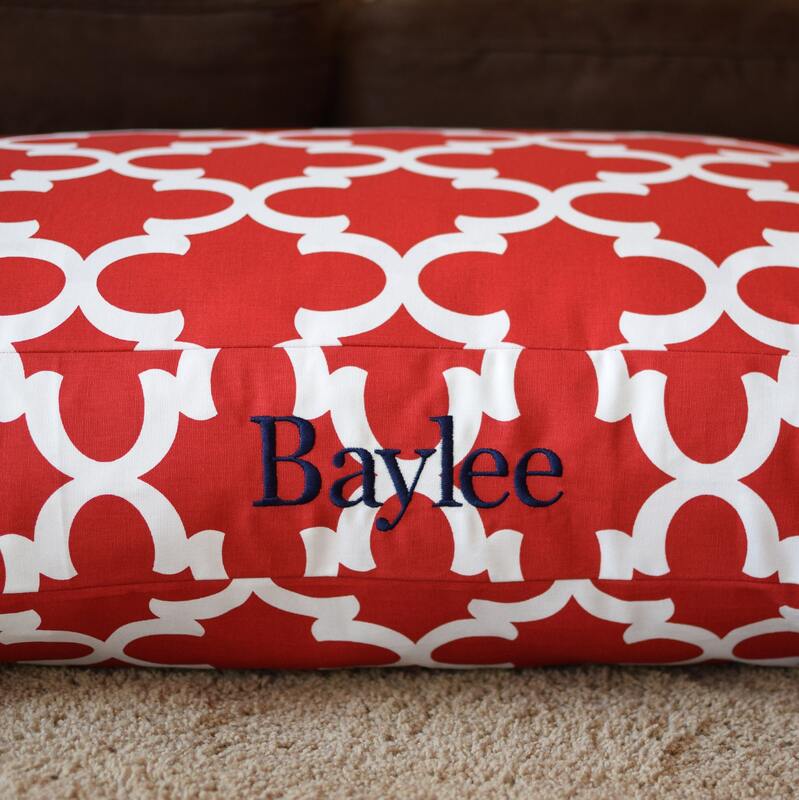 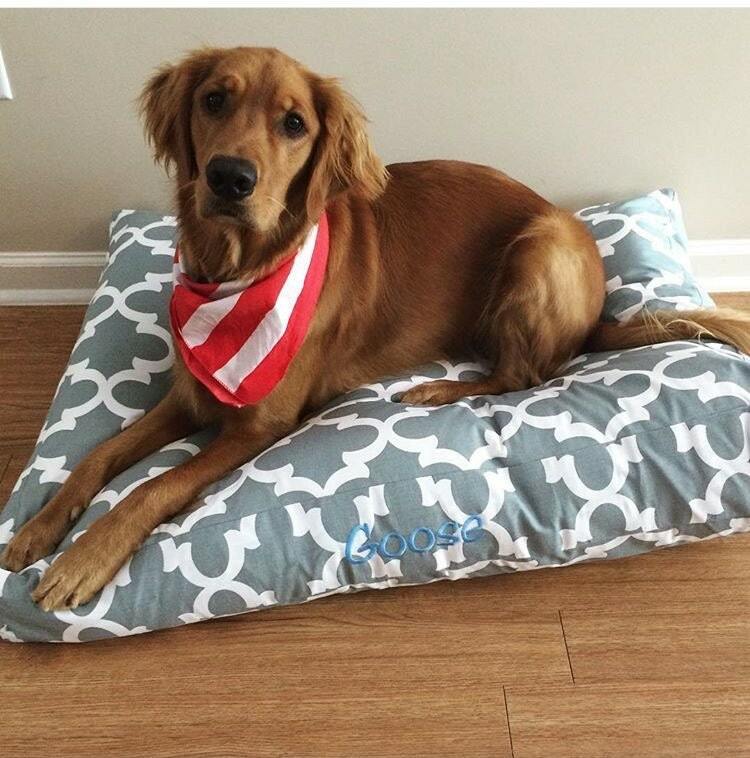 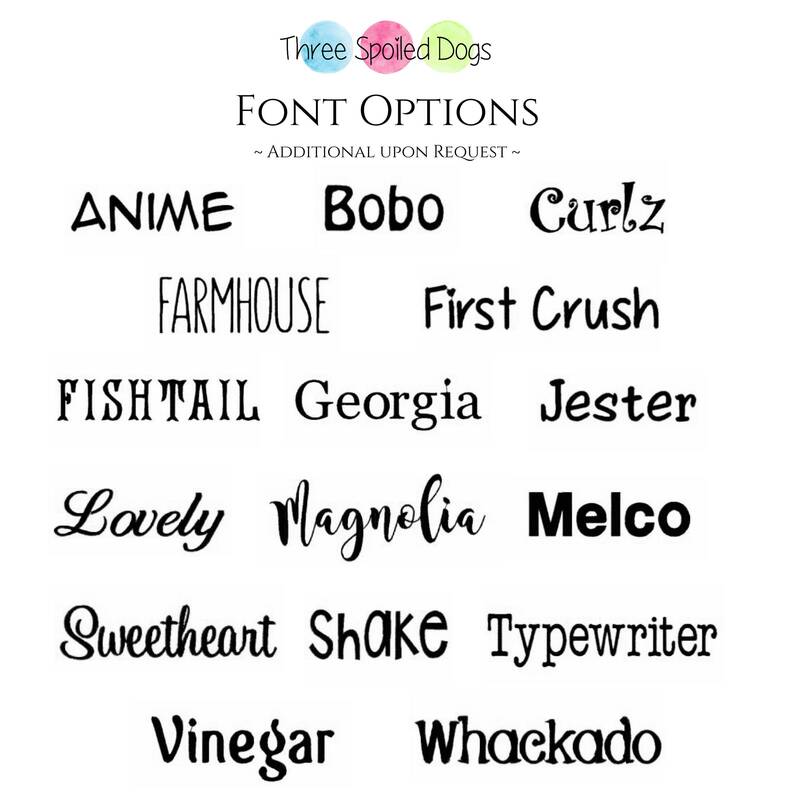 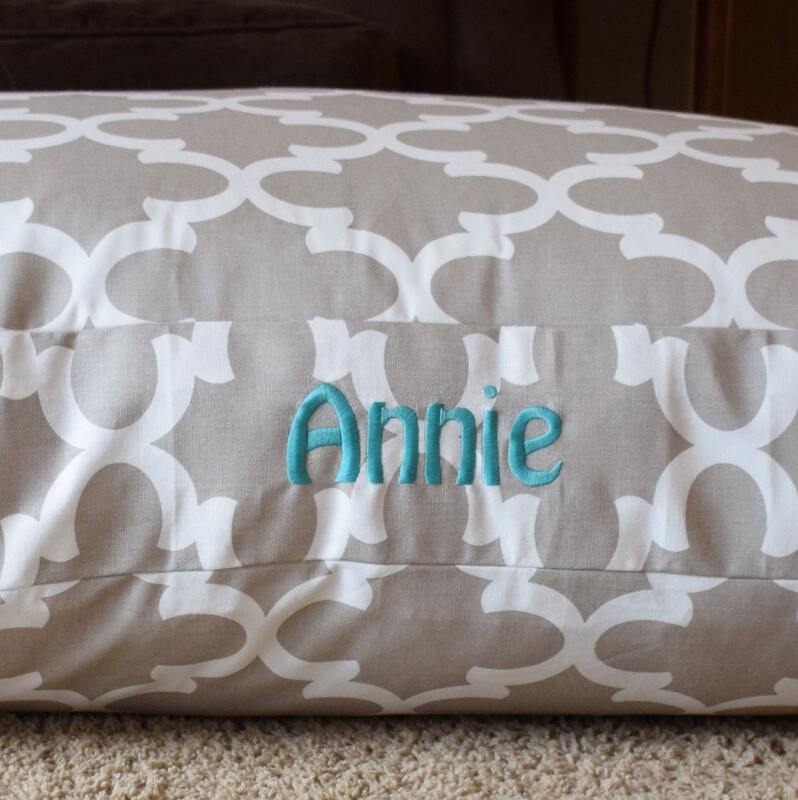 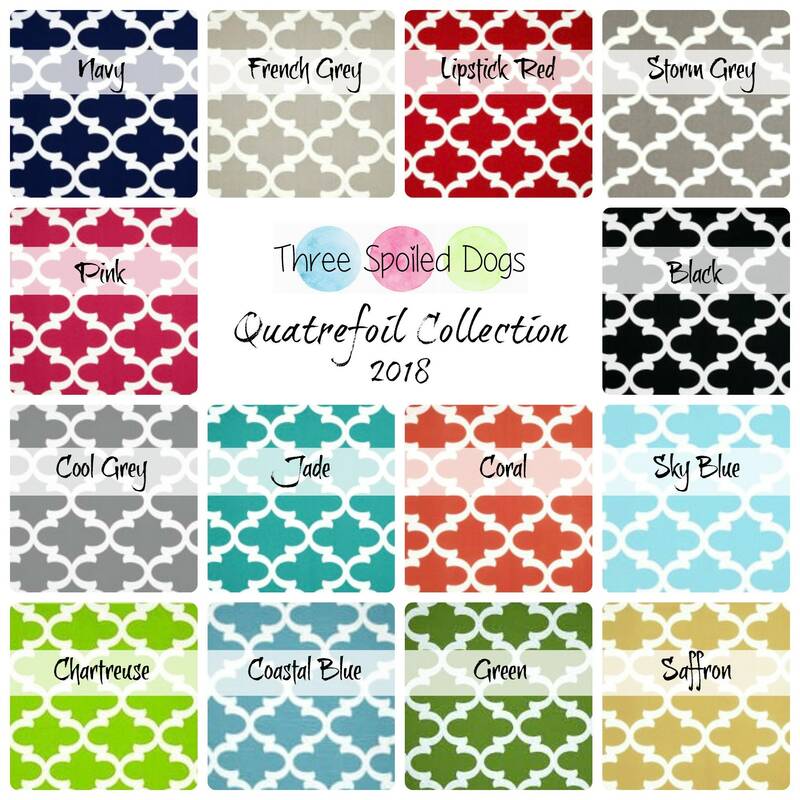 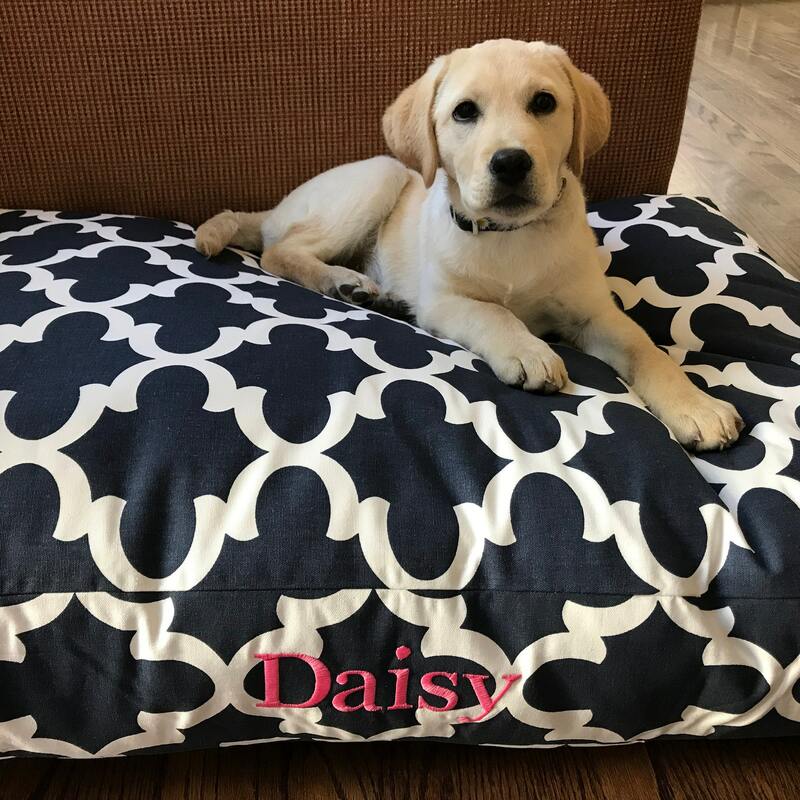 Personalized Extra-Large Dog Bed - Our Chenille Quatrefoil Dog Bed is available is 6 GORGEOUS COLORS and look FANTASTIC embroidered with your pups name! 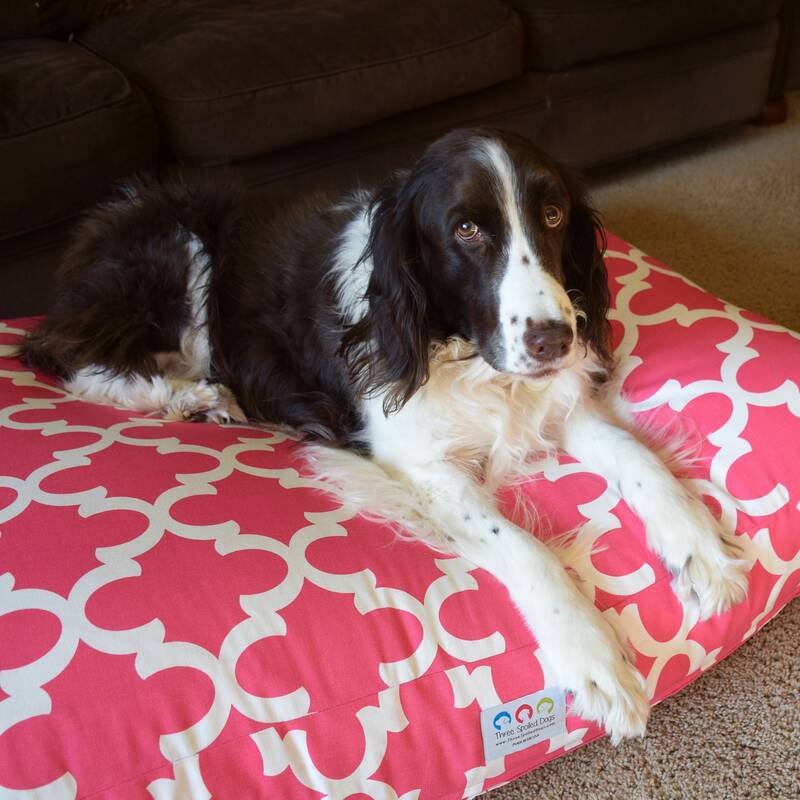 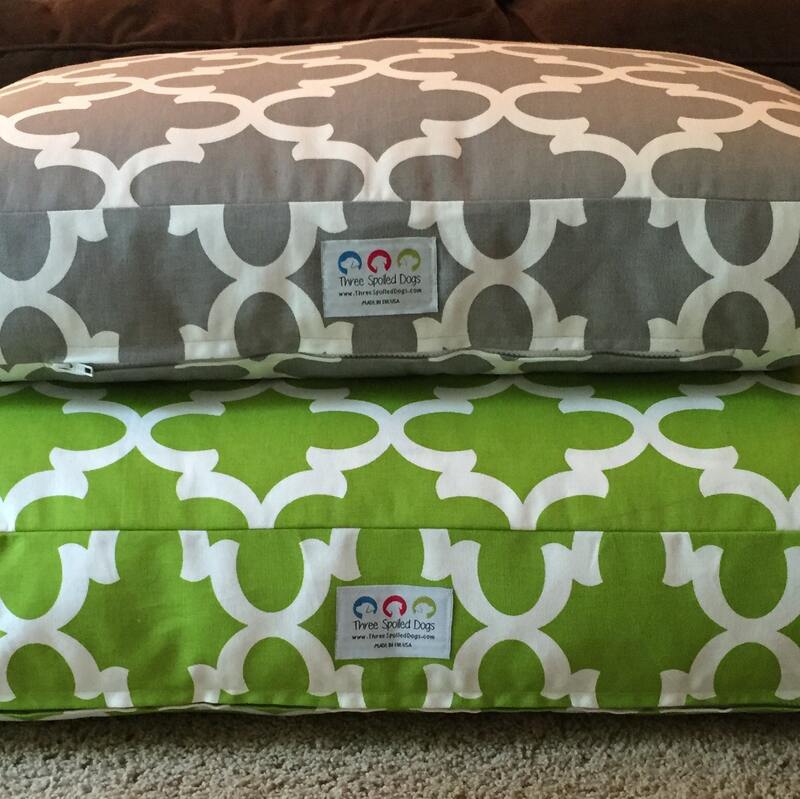 TSD flippable design extends the life of your dog bed by using both sides instead of just one. 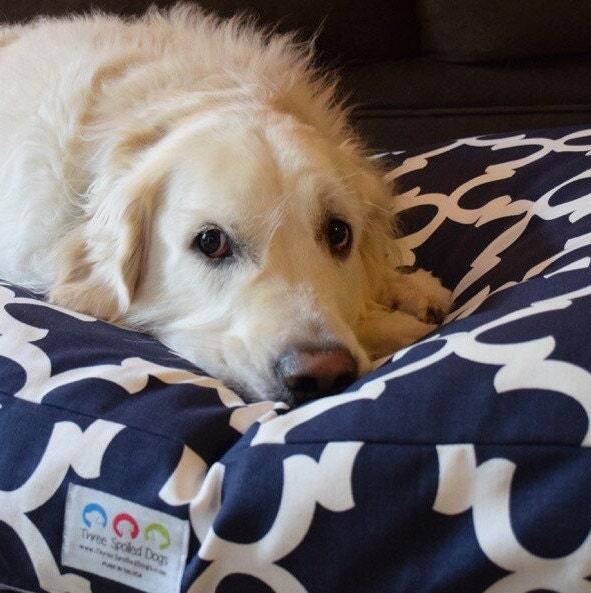 Our beds come with soft but durable inserts and the bed cover has a concealed zipper and zips off for easy cleaning.